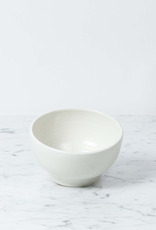 Home / John Julian Plain Porcelain Simple Bowl - Medium - 5"
We are of the opinion that you can never have too many bowls. 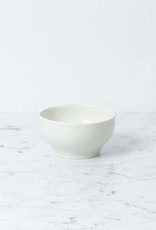 That being said, these bowls may be the only ones you'll ever need. 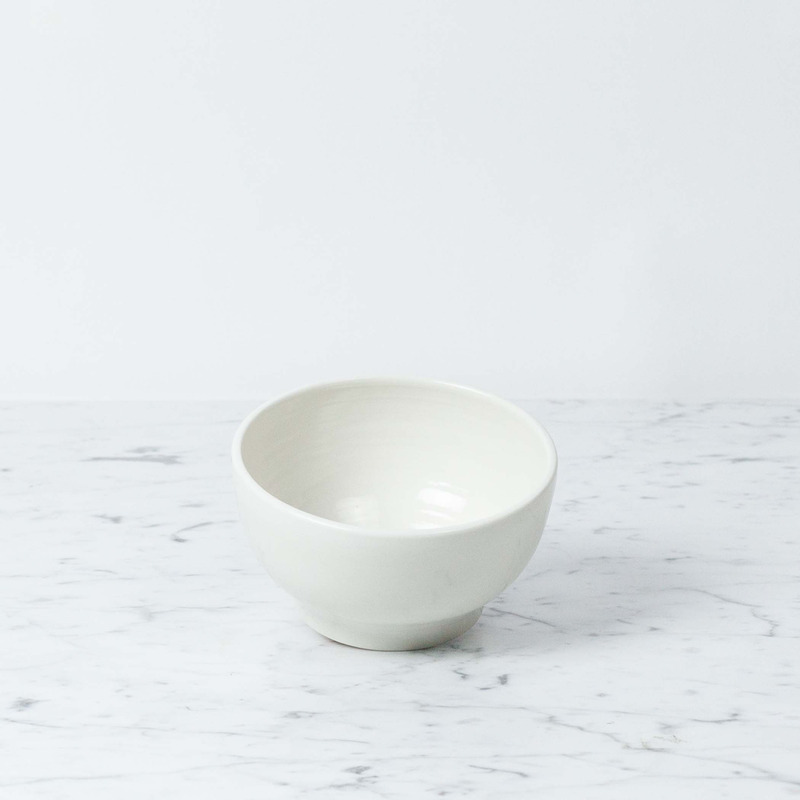 Classically elegant, perfectly simple, and exquisitely handmade, these porcelain bowls are practically perfect in every way. 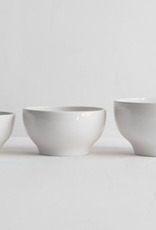 Their luminous soft-white palette (the all-natural hue of the porcelain clay itself) and graceful proportions make them equally at home among crystal goblets and vichyssoise as next to rough and tumble homespun linen and humble minestrone. 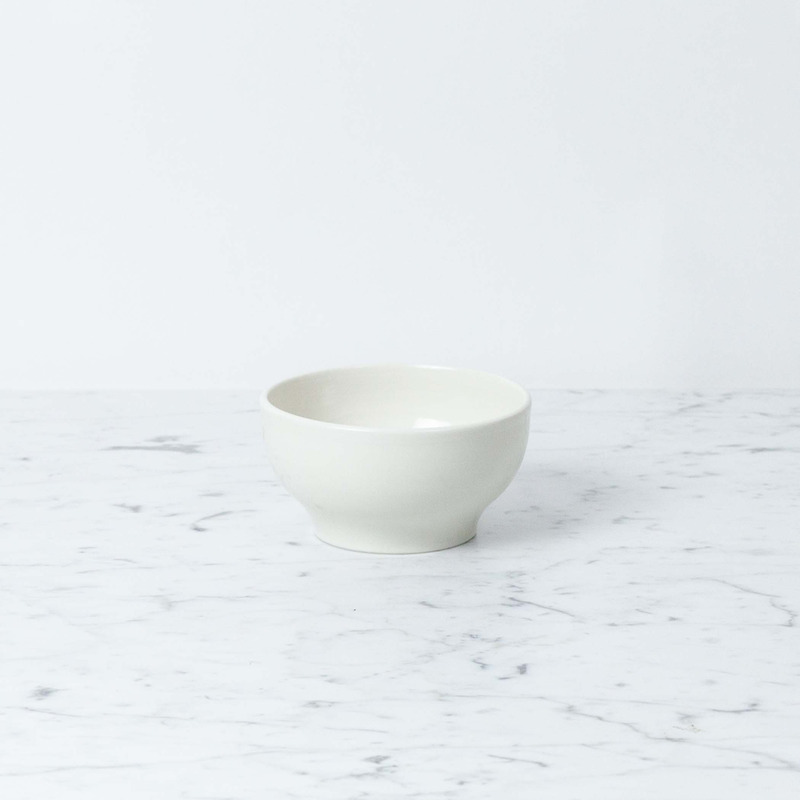 Seriously durable and designed for daily use, these bowls are fully finished with an extremely hard, high-gloss clear glaze. From morning cereal to chip o'clock, these are the dreamiest possible everyday go-to. 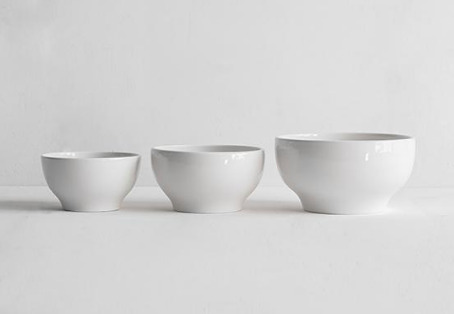 About John Julian: Hand thrown, fettled (a word we love—it's when a piece of porcelain is smooth finished by hand using a knife and a sponge before going into the kiln), glazed, and fired at exceptionally high temperatures, John Julian's simple, beautiful porcelain is lovingly made to last in a small workshop in Wiltshire, England. Designed by artist + sculptor Julian Sainsbury, these silhouettes recall the classic elegant-workmanlike shapes that have been gracing English kitchens and tables for hundreds of years. Contrary to popular belief, porcelain is not fussy. Go ahead and put it in the dishwasher or pop it in the microwave. Rejoice!